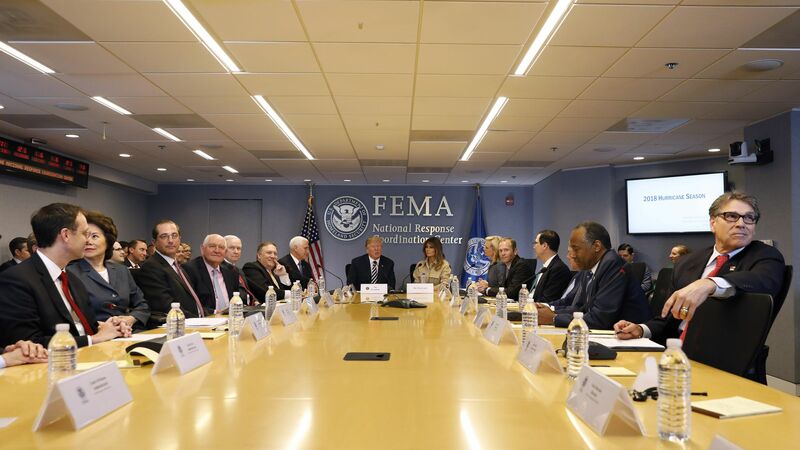 Officials from the Federal Emergency Management Agency admitted on Friday to a data "incident" involving the personal and banking information of 2.5 million U.S. disaster survivors who used FEMA's Transitional Sheltering Assistance program, the Washington Post reports. Details: Those effected survived natural disasters including hurricanes Harvey, Irma and Maria. The release of the information could result in identity theft and fraud, according to a watchdog report dated March 15. FEMA Press Secretary Lizzie Litzow explained in a statement that the security blunder was the result of FEMA "oversharing" "unnecessary" amounts of personal details during the process of transferring disaster survivor information to a contractor. Litzow also said the government agency is taking "aggressive measures to correct this error," per the Post. Editor's note: This story has been corrected to say the release of information was not a "breach."